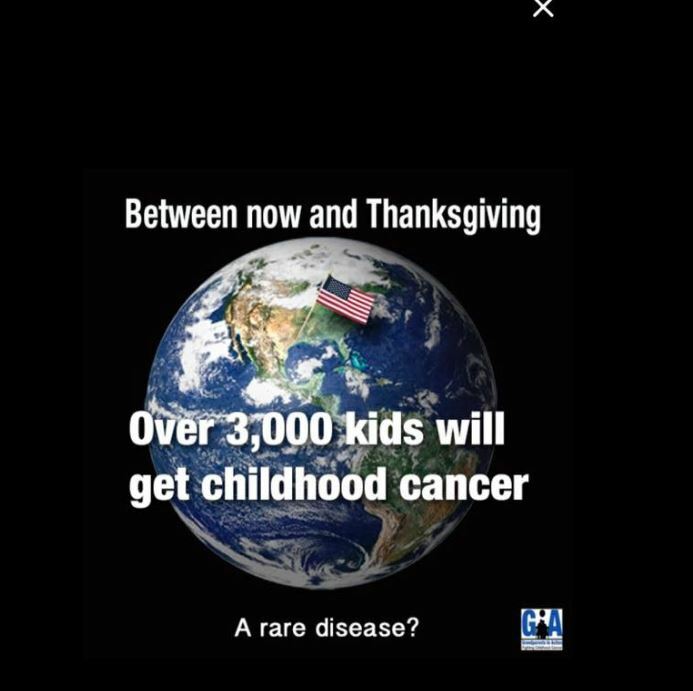 3,000 children worldwide will be diagnosed with cancer. One third (1/3) of them will have brain cancer. Our family was one of those families. Our perfectly healthy nine-year old daughter was diagnosed with an inoperable brain tumor in the days before Thanksgiving. We were told that the cancer that Gabriella had was “terminal on diagnosis”. We were told to build as many memories as we could because we would only have our Sweet GG for another 9-12months. 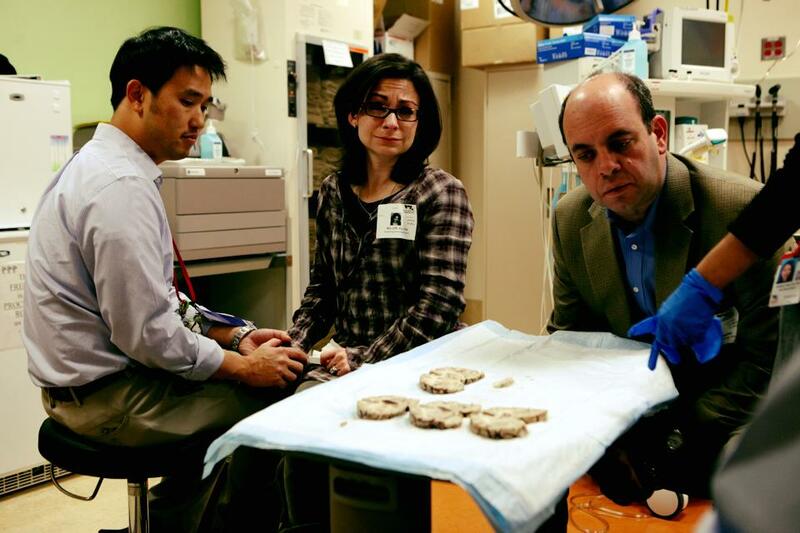 We started Gabriella on a palliative treatment – radiation to the brain – immediately. I remember that she had such a violent reaction to the radiation. If she wasn’t vomiting then she was sleeping. We started her on steroids to offset those reactions. The steroids brought about steroid rage. One day just before Thanksgiving I went the grocery store where we filled our subscriptions for medication. The lines to get out of the parking lots were really, really long. People simply weren’t trying to move out to the main road that took you out of the shopping center. I started honking my horn like a crazy person. I needed to get home to my daughter! People didn’t take kindly to my rude honking and let me know. At my wits end, I rolled down my window, sobbing, and told someone (who wasn’t too happy with me) that my little girl was just diagnosed with brain cancer and the treatments were making her so horribly sick. This was the first time I was away from her. I left her at home to pick up her medicine and I needed to get to her immediately. This person simply said that he would help me. He stopped traffic so that I could get out of the parking lot. I never got his name. I wouldn’t know him if he came up to me today. He just helped. It’s Thanksgiving. Over 3,000 families won’t be feeling to “thankful” this year. At least 600 of these children will die within five (5) years. Please be like the man that simply said that he would help. Consider making your year end, tax-deductible donation for #GivingTuesday to Smashing Walnuts and help us #CrackTheCure so that families diagnosed with childhood cancer will have something to be thankful for. 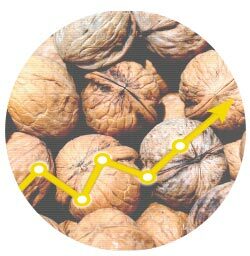 Smashing Walnuts Foundation is a component fund of the Community Foundation for Loudoun and Northern Fauquier Counties, a 501(c)3. 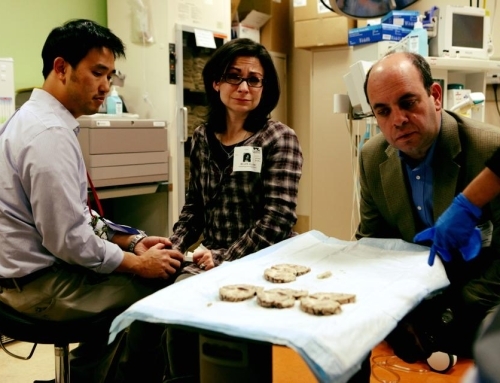 To cure childhood brain cancer by funding scientific research and clinical trials.